I promised that we would get into low-cost HD camera gear next, but before we come down to Earth I thought we should keep our heads in the stars for one more post. Let's take a look at the camera set-ups that are employed when money is not an object and assistants are hired so phones can be thrown at them. Let's look at the camera set-ups of the rich and famous. Above is a set-up from "Superman Returns". 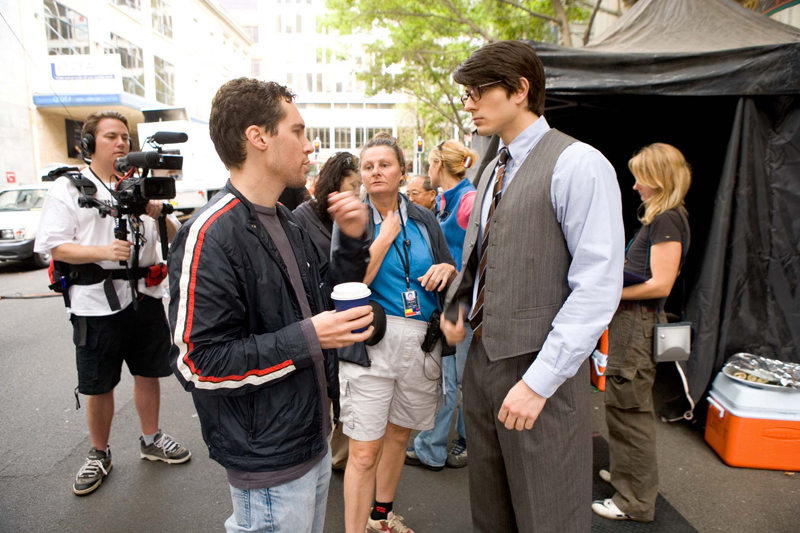 From my last post you know that Bryan Singer, the director, prefers the Panavision Genesis HD camera. Bryan is really ahead of the game here. He has an all-digital workflow that allows for a quick turnaround time on effects work. It seems that camera teams that shoot effects realize how important it is to shoot digital. 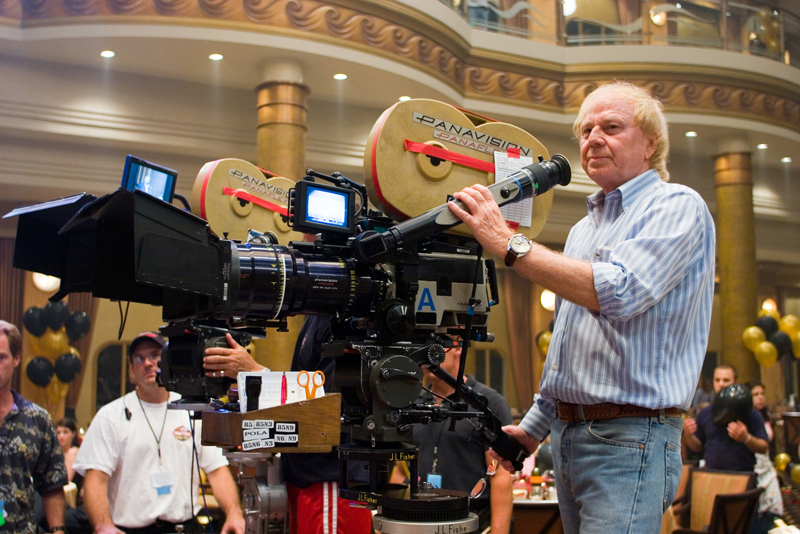 Our next set-up comes to us from one of the greatest living directors of our time, Wolfgang Petersen, seen here making one of the worst films of our time, "Poseidon" (go figure). Petersen likes the Panavision PFX Panaflex 35mm camera. It's so large a family of racoons could live inside it. Why shoot an effects-packed thriller on film stock? It could be that the director (and his camera team) prefer the look of film. More likely I think this is another case of a team sticking with what they know. Even though the enormous camera they selected is hard to move around and the dailies don't integrate well into a digital workflow, they know what the shots are going to look like when they come back from the lab. They trust they'll get good results with film and they don't want to take a risk on new technology. This is why change comes so slowly to the film community. There's also the tiniest chance they were swayed by the built-in Eyepiece Heater (EPH) that comes with the camera. Your eyes can get cold on a film set, you know. Next up is Alejandro Agresti, posing next to some ancient Panavision camera that Warner Bros. had lying around. 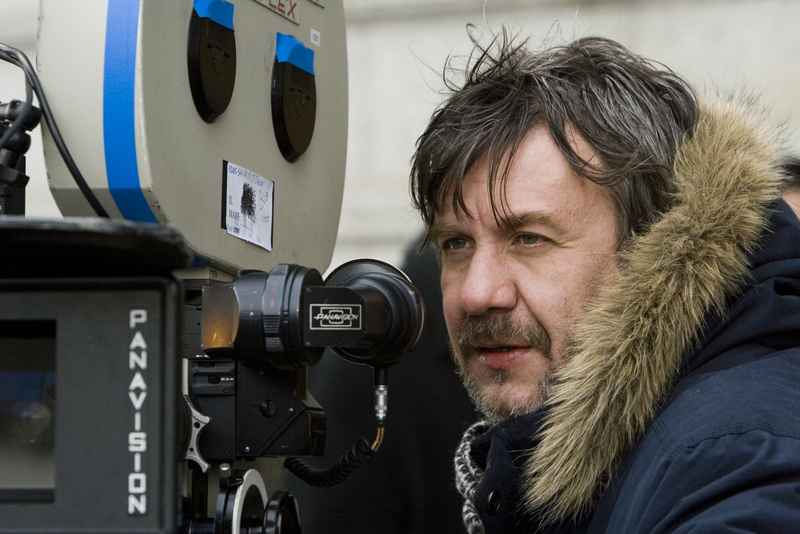 This film ("The Lake House") was Alejandro's first chance to direct an English-language picture, so he probably did not have much say in the camera selection. Which is a bit of a tragedy since he was a cinematographer on eight films prior to this one. If you saw the flat, lifeless shots that Alar Kivilo turned in (the DP they stuck him with) Alejandro's just lucky the camera was pointed at the actors. I think there's a lesson in here somewhere. Alar Kivilo, studio hack, goes on to shoot three more films after this one. Alejandro Agresti, sensitive Argentine director, never works again. 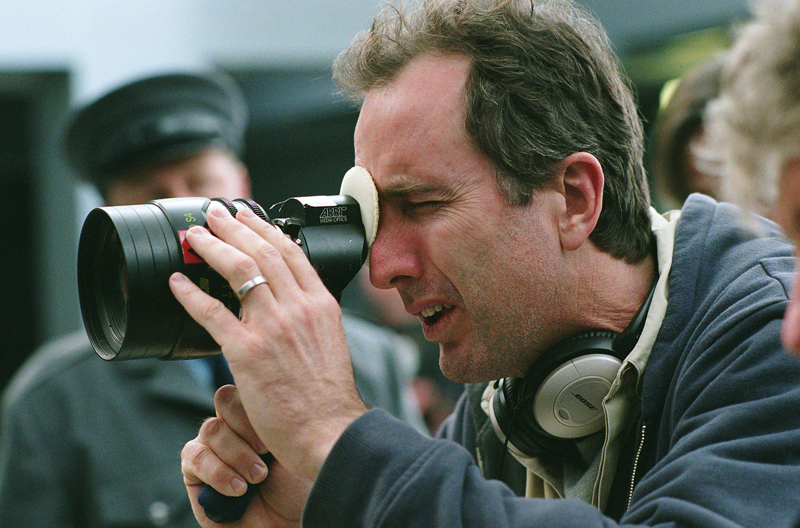 Finally we have James McTeigue on the set of "V for Vendetta" checking out a lens. At first I thought, why doesn't this guy just look in the monitor? Does he seriously need to see how that lens choice bends the light? But if you recall from my article on mise en scène in the film V for Vendetta this guy (together with his camera and art departments) came up with some of the most interesting, layered shots in recent memory. Apparently this is what you have to do to get that kind of shot. You could be the guy on the left with the low-end Steadicam shooting the "making of" featurette. You've got a pretty great set-up there. I noticed you fit both the boom and shotgun microphones on the rig. Nice touch. With a good stabilizer you'll be able to produce great looking footage on any budget. Steadicam has a range of low-end stabilizer from $400 to $800 (search for the Merlin 2 product). The vest and arm are extra, so you can spend as much as $2,600 if you have the change. But the point is you can make great looking content for very little money, isn't that why you enrolled in Free Film School?